Members of the Open Ears Ensemble, Lyn Goeringer and David Beidenbender, with special guests Chris Kaminski and Edward Stumpp perform live music to early silent films. They will present an hour of delights featuring the best in animals and surrealist films from the first thirty years of cinema. Sponsored in part by the Broad Underground Film Series and the MSU Composition program. 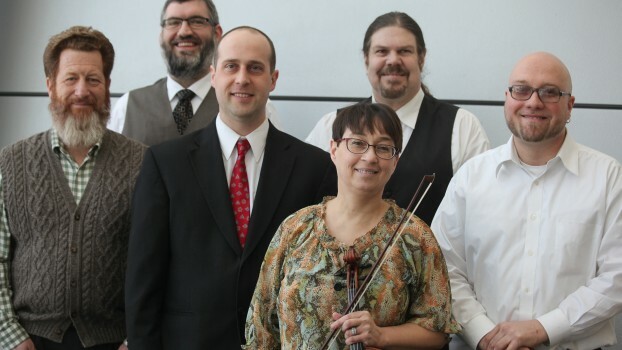 The Open Ears Ensemble began in 2016 featuring MSU composition faculty as a silent film ensemble. They perform regularly at the Broad Underground, and are delighted to perform in this year’s Capital City Film Festival. 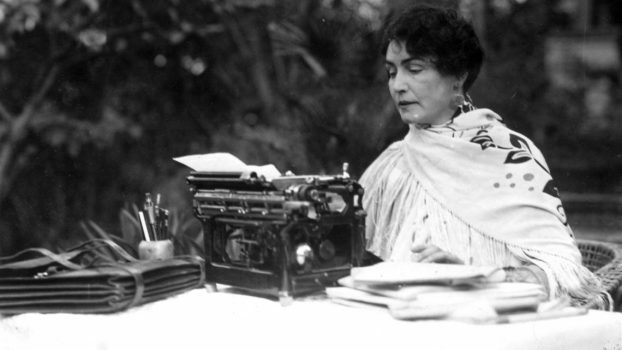 Lois Weber, who had been a street-corner evangelist before entering motion pictures in 1905, became the first American woman movie director of note, and a major one at that. Weber first got behind the camera on A Heroine of ’76 (1911), a silent that was co-directed by pioneering American director Edwin S. Porter and actor Phillips Smalley, who played George Washington. She also starred in the picture. In 1914, a year in which she helmed 27 movies, Weber co-directed William Shakespeare’s The Merchant of Venice (1914) with Smalley, who also played Shylock, making her the first woman to direct a feature-length film in the US. (Jeanie Macpherson, who would play a major role in cinema as Cecil B. DeMille’s favorite screenwriter, also acted in the film). In the spirit of her evangelism, she began directing, writing and then producing films of social import, dealing with such themes as abortion, alcoholism, birth control, drug addiction and prostitution. By 1916 she had established herself as the top director at Universal Film Manufacturing (now Universal Studios), the top studio in America at the time, making her the highest-paid director in the world. The following year she formed Lois Weber Productions. Heartland Klezmorim, Michigan’s only traditional klezmer band, began their musical journey in 2006 performing old-time klezmer music. Since that time, their repertoire has expanded to performing jazz interpretations of klezmer music, music from the Yiddish Theater, and performing as a pit band for a vaudeville show. Heartland Klezmorim observes the traditions in klezmer music as well as adding a few new sounds.